Here goes another record from the Toronto-based CMDWN Collective. First we heard CMDWN counterpart Fiji team up with Lil Yachty for the feel-good "The Way She Move." 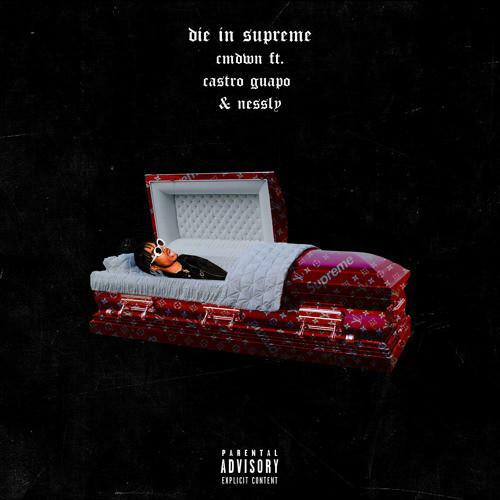 Ca$tro Guapo, who was actually living in Atlanta before making the move to the Six, teams up with another Atlanta native and rapper-on-the-rise Nessly for the hypebeast-oriented "Die In Supreme." Yeah, that's quite the title. The artwork is equally hypebeast, with a Supreme logo-covered coffin. Compared to "The Way She Move," this record is darker and trappier in sound, but it goes. Ca$tro handles the hook, delivering a quick, punctuated flow, whereas his verse finds him nasally-voiced and elongating his flow. Nessly delivers his usual wobbly flow, disguised in auto-tune. How do they sound together? Check out the other track and let us know which one you're feeling more. Stay tuned for ATLANADA 2 from the CMDWN team. RetcH Is Back With "2 - Eleven"